Number of Registered Offenders by County/City Report. 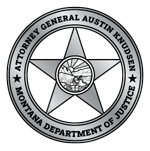 This report pertains only to offenders currently registered in Montana. If a registrant's status indicates that he or she has moved to another state or has been placed in prison, the offender is no longer counted in this report. Although the Registry contains additional addresses for offenders who reside at multiple locations, this report counts only the primary address of each offender.